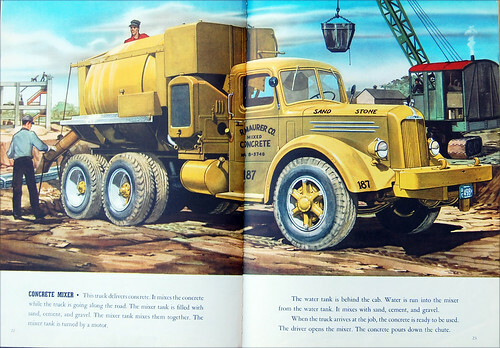 Vintage Illustration from "The Big Book of Real Trucks"
At San Francisco's Alemany flea market, we recently picked up a clean copy of "The Big Book of Real Trucks," a children's book published in 1950, with superb illustrations by George J. Zaffo. 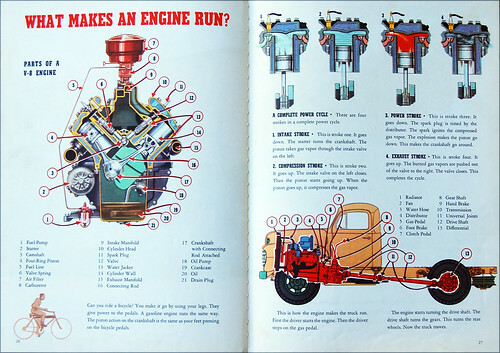 We didn't have this book when we were kids -- the pictures seemed familiar, but we're a '67 model, so this would have been a few years before our time. 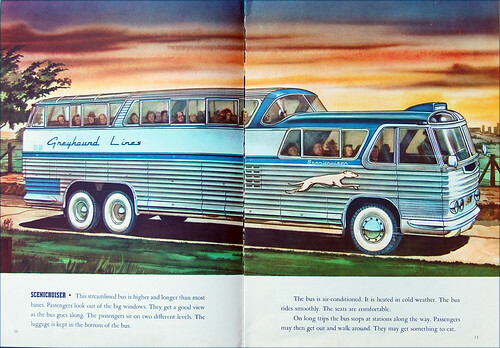 Nevertheless, Zaffo's illustration work is timeless, both as a fine example of his craft, and as a window on midcentury industrial design. We've scanned the whole book for your viewing pleasure. Our friend Eddie Codel is in Washington DC this week to watch the Obama inauguration festivities that will begin on January 20. But as a preview, he happened to catch a presidential motorcade yesterday as it was streaming through town. A police presence precedes the beginning of the presidential motorcade. These cars and motorcycles usually drive ahead to clear the way and block traffic. The motorcade for the president is made up of two parts, the first being the "secure package." In the event of an emergency, the secure package breaks off from the rest of the group. It includes two limousines, is heavily guarded by local law enforcement and Secret Service, and all cars are driven by professional drivers. 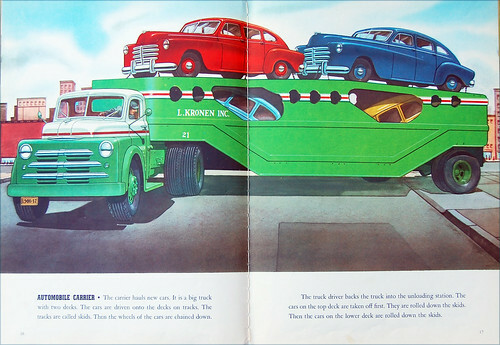 The second part is made up of vans that transport White House staff members and selected members of the press. In the rear is a communications van that records the president's movements, an ambulance, and additional police vehicles. Is This Obama's New Presidential Limo? The Biscaglia sent a distress signal to the frigate as the skiff circled the tanker staying well out of range of water cannons. While two pirates stayed in the skiff, six scrambled on board, firing AK-47s at the bridge where the three men were masterminding the defence. The men decided to use the sonic weapon, called an L-RAD. The trio locked all the hatches and doors and retreated to the roof of the bridge. Half an hour after the attack had begun, a helicopter from the French warship appeared. Although it was armed, it is against maritime laws in the area to board a vessel by force after it has been taken by pirates. So the helicopter crew were forced to hover and photograph events from above.